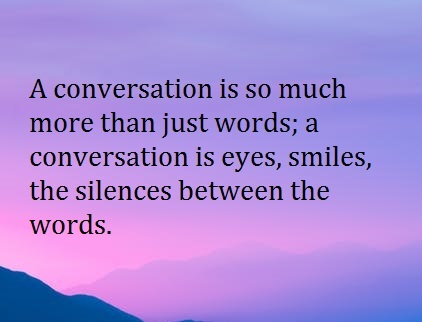 Conversations or discussions are important to express one’s own thoughts and beliefs and spend time listening to the opinions of others, especially one’s children/teenagers. We all desire for someone to listen to us. This is a great form of showing approval and acceptance … having the time to share. Children/teenagers may seem that they don’t want to talk to their parents. They actually do but don’t want to admit this need. A great opportunity to chat to your children/teenagers is when they are in bed, they cannot run away. Give them two concepts each day to help them to manage their emotions, thoughts, choices and actions. My books will give you more than you know.